I first encountered Death Squared on the show floor during last year's PAX West, after which it quickly made its way onto both my list of favorite PAX demos, and my roundup of the best indie gems from the event. Developed by SMG Studio, this local co-op puzzler game charmed me when I first got to test it out -- and that hasn't changed with its full release. 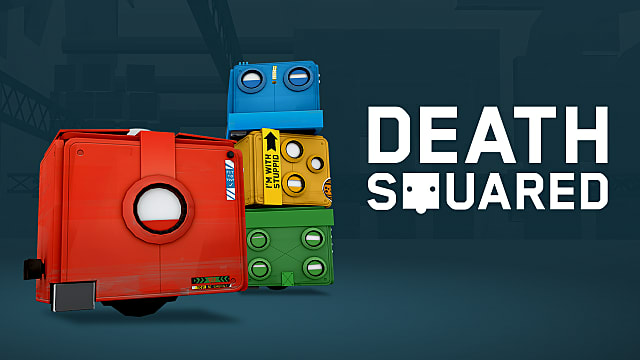 Death Squared combines a clean aesthetic, challenging levels, and plenty of humor to create a fun party game that's really tough to put down. Death Squared puts you in the role of (two to four) artificially intelligent robots who are being tested by a tech giant named Omnicorp. Your supervisor, David, and his AI assistant comment on your performance as you complete puzzles (or die trying). All the while, the banter between them unravels a neat little backstory. As with any party game, the story doesn't take center stage here. Instead, it's simply another layer of intrigue that encourages you to keep grinding through the levels just to see what other information you can uncover. You'll learn a bit more about Omnicorp is like, and how your AI protagonists (plus David) fit into the big picture. But what's more engaging than the story is the excellent humor that punctuates the gameplay. This is where Death Squared becomes reminiscent of Portal 2 -- in case the co-op robotics weren't enough of a parallel for you. The sarcastic and helpful-but-unhelpful commentary of the supervising AI recalls the iconic GLaDOS, but without the murderous intent. Your tester David also likes to make witty remarks about your performance in each level, poking fun at you when you perform poorly and acting surprised when you do something well. Even outside of the obvious voice lines, there's a clever joke everywhere you look. From the way your death counts are evaluated on the level completion screen to the little quips that appear on the slider screen as you load a new level, there are lots of minute details that will keep you chuckling even as the puzzles themselves become more frustrating. 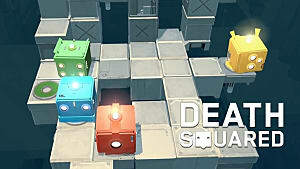 Much like any other party game, Death Squared is designed for local co-op. 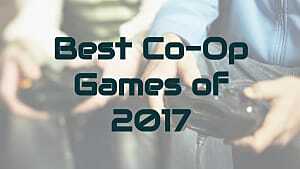 So you'll either have to get your friends together on your actual couch to play together, or you'll need to opt for the "lonely co-op" mode that has you controlling two different robots with your keyboard (or joystick). As much as I want this game to have an online option purely so that I can share it with friends all over the country, I have to say that SMG made the right decision by leaving this feature out. If you're playing with other people, the talking and bickering that happens during a local co-op session is an essential part of the experience -- and something would definitely be lost if you were to try and replicate that via voice-only comms. Communication and cooperation are key here. If you can't work together -- or make your hands work together in solo mode -- you're gonna have a bad time. 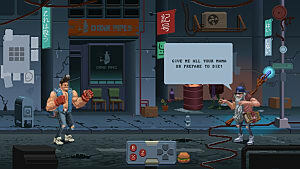 When I played this game on the PAX show floor, I found myself chatting and laughing with total strangers because of how the game forced us to communicate with each other. And when you're playing with friends, it really is a bonding experience. Even if you do occasionally threaten to kill each other for falling off the platform one more f*cking time. 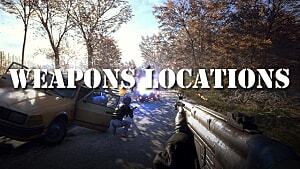 The level design makes communication even more paramount. 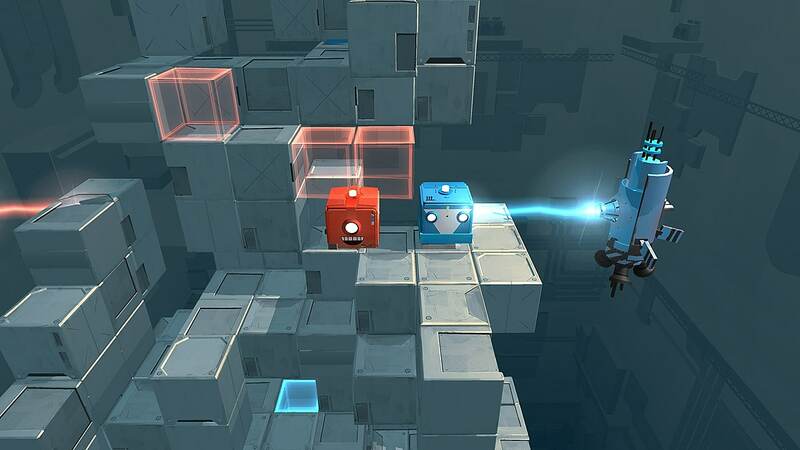 Death Squared gets increasingly more complex as you complete levels. New obstacles are introduced, and eventually there will be a lot of moving parts and cause-and-effect sequences you must carefully consider before you make a move. Thing start out simply enough. You just have to get your colored block on the same color tile at the far end of the platform. A few levels later, you might have to avoid triggering some spikes, or hop onto a floating platform to get where you're going. 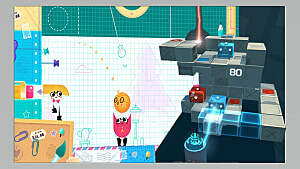 But as the game progresses, you'll have to do things like trigger rising/falling tiles, avoid multiple lasers at once, time your moves to avoid exploding anyone else, stack multiple blocks to reach new areas, and more. Sometimes, these more complicated levels can get pretty frustrating. At times the level solution isn't apparent even after several attempts, and your death counter will just keep rising as you try futilely to figure it out. There were several levels that I seemed to complete purely out of blind luck and persistence rather than any real understanding of how the puzzle actually worked. Aside from the fact that it makes me a little sad I can't share this experience with my gamer friends far and wide, I have very few gripes with Death Squared. But I do have one bone to pick -- and that's the physics. Because this game is so heavily movement-based, your robots will respond to the slightest input on your controller or keyboard -- so it's really easy to make mistakes and end up dead because of one microscopic movement. Sometimes, trying to finagle your way out of a tight spot would go horribly wrong because you didn't move just so. And sometimes, you'd end up falling off the platform entirely because of one slight tick in the wrong direction. This became particularly frustrating in higher levels, when obstacles become a lot more difficult. 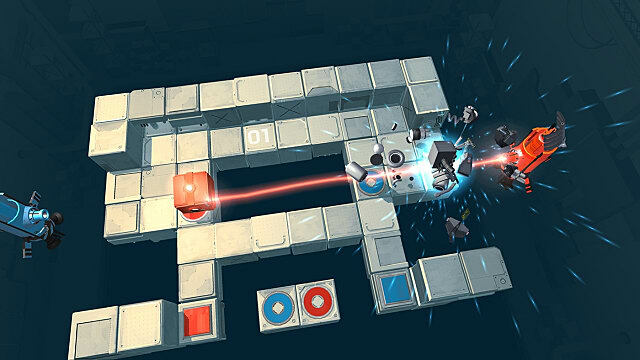 If one robot hid behind a block to avoid another robot's laser, for example, the laser track often exploded it anyway because of some slight clipping or minor misalignment with the wall. 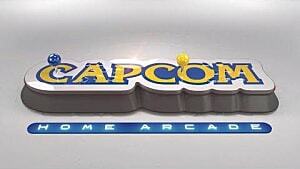 Overall, though, these sorts of annoyances didn't really detract from how much I loved playing this game. All the sardonic humor and witty touches kept me laughing even when I got tired of the repetitive grind on more challenging levels. Death Squared is an excellent party game that anyone can pick up and play. Whether you're a Portal fan looking for a familiar feeling, a younger brother, or even a non-gamer, you're going to have tons of fun with this puzzler. It's colorful, it's funny, and it will definitely get some conversations going on the couch -- just like the good old days. 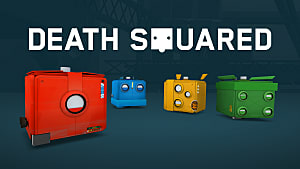 If you want to pick up Death Squared, it's available on Steam, PS4, and Xbox One for $19.99. 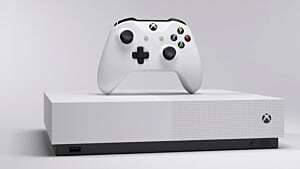 Note: SMG Studio provided a copy of the game for the purpose of this review. 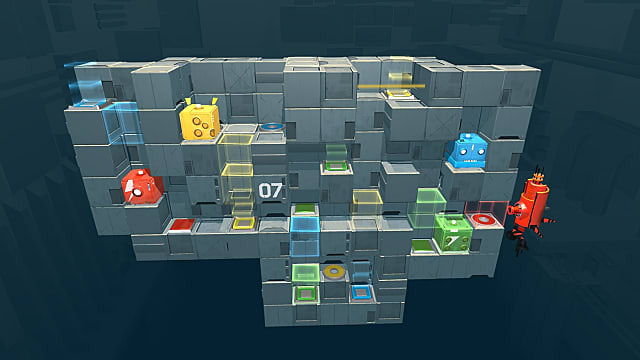 This colorful, robotic puzzler will get your friends talking and laughing -- even as they die. Repeatedly.